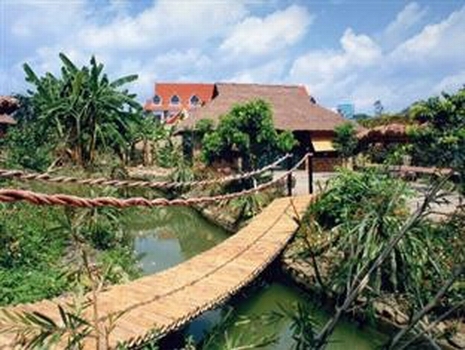 Located about 58 km from Hanoi city, V-Resort – Natural Farmland and Hot Spring is located in an unspoiled valley in Vinh Tien, Kim Duc, Kim Boi, Hoa Binh . 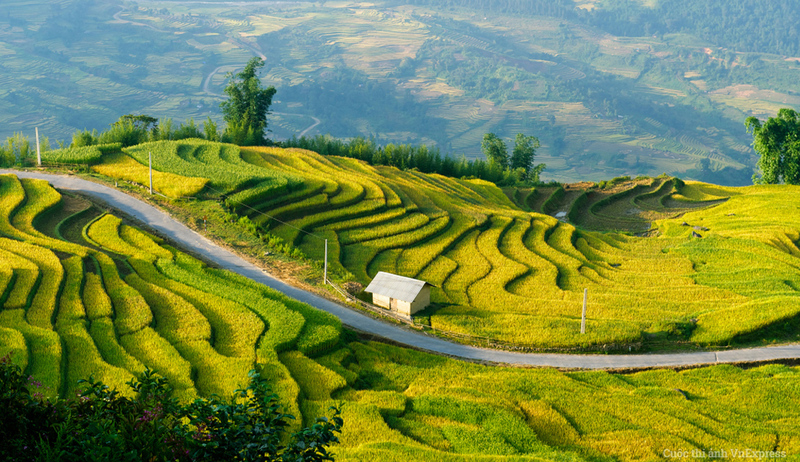 On a Fruit and Vegetable Farmland spreading over thousands of hectares in the heart of Hoa Binh breathtaking Green Mountains and Hot Spring, V-resort has created one of the most peaceful and conservative resorts in Vietnam with its own advantages such as: underground hot mineral water resources, tens of hectares of fruit gardens, tennis-court, mini golf-court, and so many other entertainment services. The resort is gifted with subterranean mineral water sources and beautiful mountain landscapes. Come to V-Resort to create unforgettable memories with your family, your friends or even your special someone. At V-Resort, you will find a home away from home in any of our cozy hotel rooms and villas, or in our traditional stilt houses. V-Resort welcomes you to a beautiful complex of 90 rooms and luxury villas inspired by the lifestyle of local ethnic minorities. Many villas feature splendid views of our eco garden within the resort, while some offer views of the hotel's swimming pool and breathtaking landscape.